When we think of the culture around getting a haircut we imagine a bit of a binary. A hair binary if we may. What do we mean by hair binary? Well, we have our rowdy barber shops where men are passing around beers and bro-ing it up with sports on in the background. Then we have the other end where women sit in a high-end establishment and destroy your self esteem with just a glance. We may watch too much TV and get in over our heads, but sometimes this is what it feels like to someone who has not yet mastered getting a haircut comfortable. 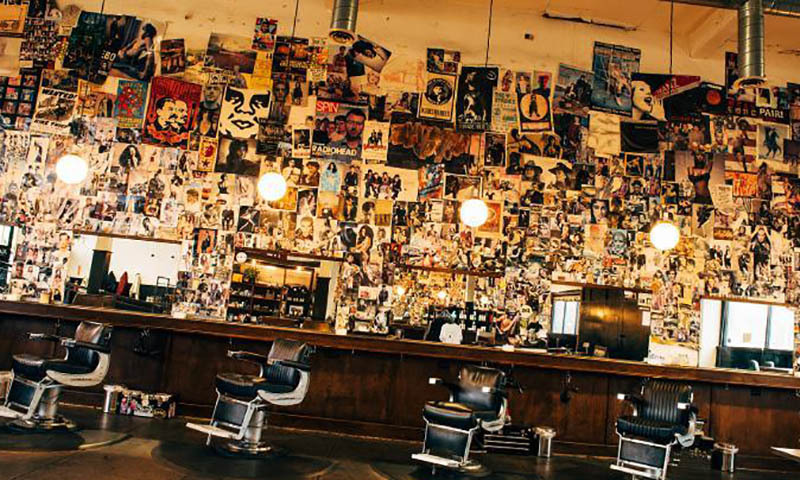 Rudy’s barbershop in Silverlake is one place where you can brush away all these worries as they shatter the hair binary by creating a comfortable and welcoming environment for everyone! If you’re looking for an LGBTQ friendly barbershop, this barbershop in Silverlake is the place to be. In 1993, three friends decided to create a barbershop together in Seattle. Paralleling the 90s counterculture vibes, they sold only three products: Mohawks, Buzzcuts, and tattoos. It was later named Rudy’s after someone spray painted that on the side of their business so they decided to roll with it. Little did they know that this lackadaisical idea to create a place where all their friends could hangout will turn into a thriving business unique to its market. Rudy’s currently has 27 locations, but it’s Silverlake location is the biggest and busiest of them all. The large inclusive barbershop is located on 4451 W Sunset Blvd. What makes Rudy’s stand out from other hair salons and barbershops is the environment they create for their clientele. Upon walking into the warehouse like barbershop, many would think they would be intimidated, but that is the contrary. The laid back and positive attitude of all the stylists and even the receptionist will make you feel like you immediately made the right decision. The walls of the warehouse are plastered with grungy magazine cut outs and queer iconography. It’s like a 20 year old’s college dorm room in the 90s on psychedelics – and it’s irresistible. Two large industrial doors that are cracked open to let customers in are home to large portraits of puppies. Yes, puppies. The large portraits are a few feet wide and have paintings of french bulldogs, bichon frise, cocker spaniels and more! In an era of Don’t Ask Don’t Tell and The Muslim Ban, Rudy’s finds it important to ensure that they’ve “created a space where people from all walks of life can come to look and feel good.” This extends to the LGBTQ community they serve as they are in close partnerships with the LA LGBTQ Center and the It Gets Better Project. The pride flag adding the only pop of color to cities across the nation can speak for itself. The style options at Rudy’s have definitely grown from their original menu of “Mohawks, Buzzcuts, and Tattoos.” Now they offer everything any other barbershop in Silverlake would from beard trims to blow outs to a full dye. They also have their own product line aside from services their community with great cuts. 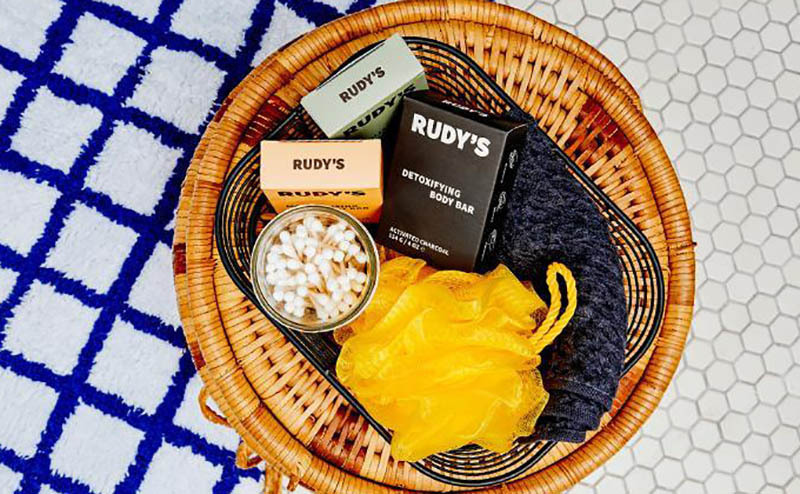 Rudy’s has fine products for all aspects of your grooming experience including Hair, Body, and Face. Products include their popular matte pomades and even their travel sized tonic spray! Their store and website also sell different brands such as Malin+Goetz, Grant’s Golden Brand, and Davines. As you can see, Rudy’s is a special place that has managed to blur the lines of what it means to be a barbershop. While creating an inclusive environment, they manage to service their community with chic haircuts and styling. Check out Rudy’s if you’re worried about fitting in during your next cut. You can even get in your shopping across the way at Crossroads and check out any local coffee shops!